Worsceter edl counter rally message Racist Not Welcome. Excellent turnout. Worcester, small town but big on unity. Unite and Fight. No to racism message went out from Worcester community in an excellent carnival style, supported by drum/Dhol beats lead the happy rally crowd to its loud and clear message of the day to (EDL March) Racists Not Welcome in Worcester. Like Rajiv Gandhi in November 1984, Vajpayee will go down in history as a prime minister who preached the virtues of tolerance even as he turned a blind eye to the massacre of innocent citizens. Perhaps the most significant elaboration of the Golwalkar-Savarkar thesis of India as a Hindu nation beset by Muslim trouble-makers in recent times was that provided by Atal Bihari Vajpayee in hisspeech to the BJP national executive meeting in Goa on 12 April 2002. The speech is remarkable for the manner in which a prime minister attempts to justify the murder of Muslim citizens in Gujarat by referring to Godhra and contrasting the supposed ‘traditional tolerance’ of Hindus with the alleged ‘intolerance’ of Muslims. Like Golwalkar, who believed only Hindus were true Indians, Vajpayee uses ‘us’, ‘our’, ‘Hindus’ and ‘Indians’ interchangeably throughout his speech. He begins by making an observation about Hindu kingdoms in ancient Cambodia. Here, in as unsophisticated a fashion as Narendra Modi had stated it earlier, we find Vajpayee presenting his own version of Newton’s Third Law. There is no remorse about the killing of hundreds of innocent people, no apologies for the failure of the government to protect its citizens. He makes no attempt to distinguish between the criminal perpetrators of the Godhra attack and the innocent victims of the ‘subsequent tragedy in Gujarat’. For him, Muslims are an amorphous, undifferentiated lot who collectively ‘lit the fire’. They were to blame, not his party men who took part in the ‘subsequent developments’. Going from the specific to the general, Vajpayee then launched a frontal attack on Muslims. He asserts that ‘For us, the soil of India from Goa to Guwahati is the same, all the people living on this land are the same. We do not believe in religious extremism. Today, the threat to our nation comes from terrorism’. The statement is classic hate speech, but after it generated a huge controversy, Vajpayee claimed his remarks were aimed not at all Muslims but only ‘militant Muslims’. The Prime Minister’s Office subsequently issued a doctored version of the speech in which the word ‘such’ was inserted between ‘Wherever’ and ‘Muslims live’. Many newspapers subsequently printed this version. It was not until a privilege motion was raised in Parliament — for Vajpayee had made the mistake of claiming on the floor of the House on May 1, 2002 that the doctored version of the speech was the true version — that he was forced to admit the word ‘such’ had been deliberately interpolated. However, he reiterated that ‘no one who reads my entire speech and takes note of the tribute I have paid to the tolerant and compassionate teachings of Islam, can be in any doubt that my reference . . . is only to the followers of militant Islam’. The allegation of Muslims not living in co-existence with others and not mingling with others is such a standard trope in RSS propaganda that Vajpayee’s claim of intending to refer only to militant Muslims does not seem very convincing. Earlier in his speech, he had equated militant Islam with terrorism. ‘Not mingling with others’ is a peculiar charge to level against terrorists. In any case, it was a bit odd for the prime minister to talk about terrorism and militancy as if they were the preserve of the adherents of Islam— especially at a time when his own Sangh parivar was heavily involved in acts of terror in Gujarat. 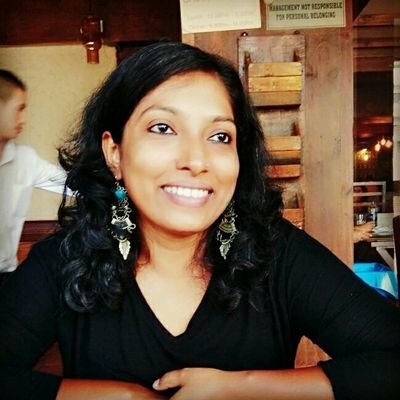 But there was a deeper level of dishonesty in the charge against Muslims, for it is precisely the policy of the RSS to ghettoise and isolate the Muslim community. 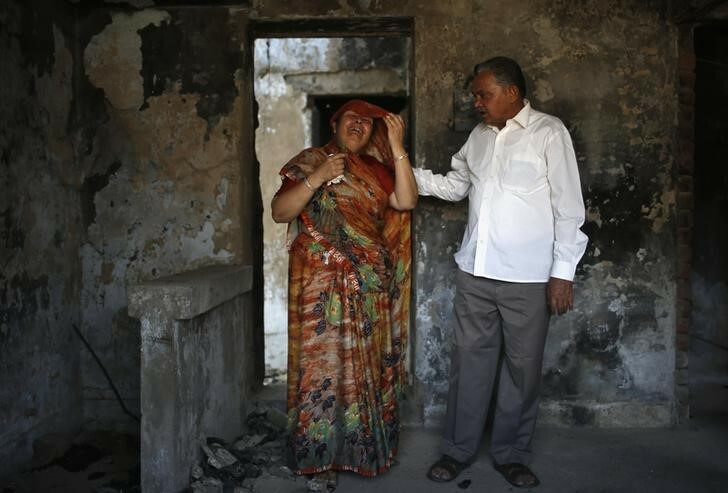 As sociologist Dhirubhai Sheth has argued, it was not accidental that the Muslims who bore the brunt of the Sangh parivar’s violence in Gujarat were those who chose to live in Hindu-majority areas. The communal killings in the state, he says, have exposed the dishonesty of the ‘Hindutvavadis’ who reproach Muslims for not entering the ‘national mainstream’ but then beat them back into their ghettos whenever they do emerge. In another attempt to soften the impact of his Goa remarks, Vajpayee told parliament that he was as opposed to militant Hinduism as he was to militant Islam. ‘I accept the Hindutva of Swami Vivekananda but the type of Hindutva being propagated now is wrong and one should be wary of it.’ Having said this, however, he went back to square one by adding that although there were laws to deal with such an eventuality, he was confident no Hindu organisation would become a danger to the country’s unity. In other words, only Muslim (or Christian or Sikh) organisations have the potential of endangering the country’s unity. After maligning Vivekananda — who never spoke of Hindutva but of Hinduism — Vajpayee went straight back to the teachings of Golwalkar and Savarkar. Apart from reverting to the usual chauvinist line of the Sangh parivar, Vajpayee was also diverting the debate into a dead end. The issue is not whether he personally opposes militant Islam or Hinduism but whether, as prime minister, he is prepared to defend the constitutional rights of all Indians. Regardless of his own views and beliefs, a prime minister cannot speak for only a section of citizens. Do the Muslims of Gujarat have the right to physical security? Is he prepared to punish those who have committed crimes regardless of their political or ideological affiliation? Rather than dealing with these questions, Vajpayee is trying to cover up his own political failure and culpability. It is remarkable that Vajpayee’s first televised address to the country was only on March 2, 2002 — after the seventy-two hours of apparent freedom enjoyed by the Sangh parivar in Gujarat expired — and even then, all he could do was appeal for calm and tolerance. In fact, his attempt to blame the ordinary people of Gujarat — and their supposed lack of ‘harmony ’— for the mass killings in their state was a disingenuous manoeuvre aimed at absolving himself, his party colleagues and the state machinery they control, of any responsibility for the crimes. Like Rajiv Gandhi in November 1984 and Narasimha Rao in January 1993, Vajpayee will go down in history as a prime minister who preached the virtues of tolerance even as he turned a blind eye to the massacre of innocent citizens. Instead of using national television to tell the people of Gujarat that the genocidal mobs would be put down with a firm hand — and that policemen failing to protect the life and liberty of all would be punished — Vajpayee delivered a sermon on the need for religious sadbhavna. There was little passion or feeling in what he said, no words of succour for the victims, no anger or opprobrium for the killers. He said the violence was a ‘black mark on the nation’s forehead’ but he couldn’t bring himself to say that retaliatory attacks on Muslims for what happened at Godhra would attract the same punishment as the burning of the train. Here was a violent disturbance that had made a mockery of state power as it is supposed to operate, yet the prime minister issued no dire warnings to those who were challenging his authority and power as chief executive. In the US, President George W. Bush and his senior aides publicly warned citizens against attacking Muslims, Arabs and other immigrants following the World Trade Centre terrorist strike. In less than a year since 9/11, a man in Texas was sentenced to death for the ‘retaliatory’ murder of a Sikh immigrant. To date, however, Vajpayee has yet to even publicly acknowledge that Muslim citizens of India were victimised in Gujarat or to threaten the attackers with the severest consequences. 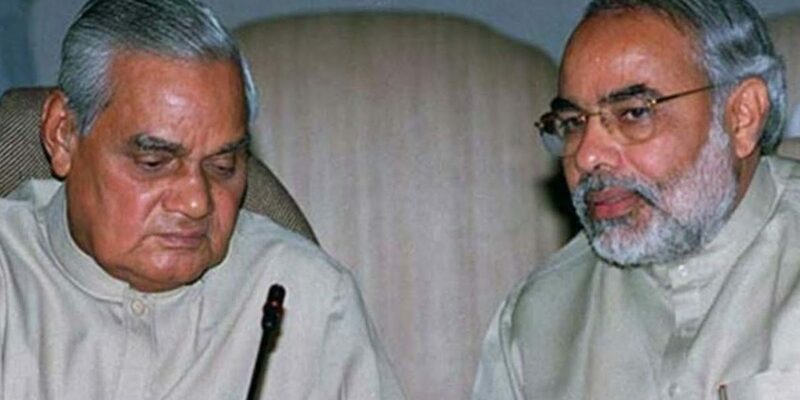 Indeed, Vajpayee was later to demonstrate that he was so loyal to his party and parivar that he didn’t mind undermining the majesty of the state and his own office. On April 17, 2002, he said that if only parliament had condemned Godhra, the subsequent massacres would not have happened. The fact is that he is leader of the House and could have ordered a discussion and condemnation of Godhra on the day it happened — instead of the scheduled presentation of the budget. Mumbai: In an incident that raises serious questions not just about the fate of freedom of expression in India but also the rule of law, an elected official in Maharashtra’s Aurangabad has been sent to prison for a year for declaring that he would not be participating in a condolence meeting for former prime minister Atal Bihari Vajpayee. UK Muslim Community Living in Fear Under Tory Rule. Two Mosques In Birmingham Attacked. Muslim Community Living in Fear. The heart of Birmingham has been targeted once again. Administration for now rule out any motive other than a Racist attack. Head admin of the Qamarul Islam Mosque, Imam M Khalil Mirza has expressed his disappointment at elected community leaders doing naught. However he was grateful for the local community showing their support. Qamarul Islam and Al-Hijra Mosques both attacked. Windows were shot at with powerful air guns using steel ball bearings. Weaponry used here indicates towards it being most likely a gas loaded air gun. Commonly used in war games and easily available in UK without any hassle. BALL BEARING vs Book your perception and Physics. Ball bearings are easily available in UK. These are and can be very deadly. There is an urgent need to make them illegal. There is a strong case amply demonstrated here that these weapons should be banned. Worcester’s police chief has thanked the local community following demonstration events in the city centre this afternoon (Saturday, 21 July). Supt Damian Pettit, Policing Commander for Worcestershire South, said: “I would like to thank the communities of Worcester for their co-operation and patience during our operation to police the demonstrations that took place in the city centre this afternoon. “While a small minority of people were more confrontational in their attitude than we wanted, this was a successful operation that saw the majority of people able to participate in peaceful protest and our communities and businesses protected from harm. “Extensive planning went into today’s operation and I would also like to thank our partner agencies and my officers for ensuring the safety of our communities on the day. “There were reports of items being thrown into the EDL group and this is now being investigated. “Three people were arrested for minor public order offences. Two police officers were injured during the event but thankfully neither is thought to be seriously hurt. The English Defence League staged an event in the city centre in protest at plans for a new mosque. A number of other groups staged counter demonstrations. The activities took place between 1pm and 3.30pm. SACK Michael Fabri cant Now. Tweet Targeting Muslims Throughout the World. Make no Mistake Normal people and Muslims all over the world will be offended. And some of you may wonder why Tories are having probems signing trade deals. Racism at its Extreme. This is Deeply Offensive. Theresa May is No More Fit Enough to be Governing the Country. This picture below is from a mentally evil sick Tory MP Michael FabriCunt’s tweet of Sadiq Khan, cannot be more Evil Racism. Why has he not been sacked? Against women in general or a case of Racism. Extremely offensive. It is long overdue Show Racism the Red Card. It is long overdue Show Racism the Red Card, thank you Jo Stevens for Cardiff Central for your excellent chairing of the Parliamentary group. The news just broke that white supremacist Stephen Miller was the primary person advising Donald Trump to begin having children and parents forcefully separated at the border. I’ve tracked Stephen Miller for years. When he was in middle school, he was a known bigot against Latino students. They went on record about this. When he was in high school, he was literally booed off of the stage in a speech he gave running for class president when he made his whole speech about his hate for immigrants. People have gone on record about this. I’ve seen it. People said in high school he regularly mocked, taunted, and teased immigrant workers at the school. In college, he protested Maya Angelou being a guest speaker. In fact, when Trump made him his chief policy advisor, people from his middle school, high school, and college years each said they could not believe it because he was literally the worst human being they had ever met. He also was the chief author of the Muslim ban.